The Spyro Reignited Trilogy is an HD remaster of the original trilogy of Spyro games. Due to be released in November 2018 and is being developed by Toys for Bob. Spyro is back and bringing the heat in the Spyro Reignited Trilogy game collection. 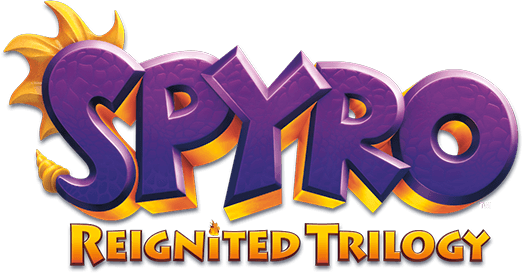 Now fans can rekindle the fire with the beloved video game icon like never before in the original three games that ignited a phenomenon, Spyro the Dragon, Spyro 2: Ripto's Rage! and Spyro Year of the Dragon. Featuring the same sick burns, same smoldering attitude and now all scaled up in stunning HD, players will enjoy this classic platformer that's loaded with an incredible amount of new detail and improved graphics like it's the first time. Gnasty Gnorc has returned from exile and has unleashed evil magic on the Dragon Realms, trapping the dragons in crystal and raising an army of Gnorcs. 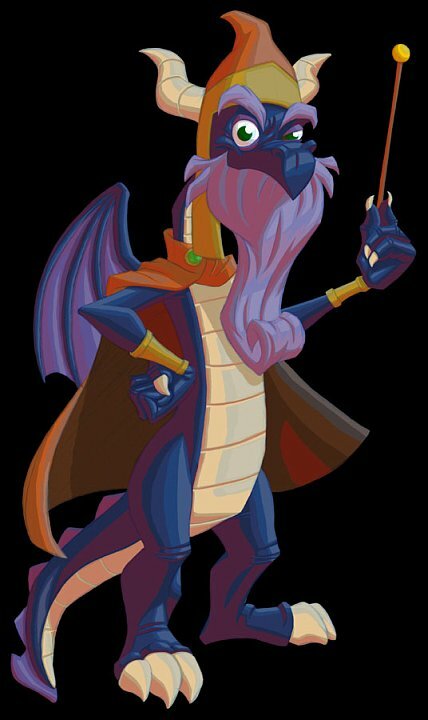 Spyro, with his friend Sparx the Dragonfly, is the only dragon left who can traverse the six Homeworlds, free the dragons, and save the day. Guide Spyro as he glides through the Dragon Realms, toasting colourful enemies with his fiery breath and encountering countless puzzles and adventures along the way. Spyro has been brought to the land of Avalar to defeat the evil sorcerer Ripto who has brought war to Avalar's Homeworlds. Each Homeworld is being held captive by Ripto and his minions and it's up to Spyro to defeat them and bring peace to Avalar's realms. In this adventure, Spyro powerflames, supershots, and headbashes his way through enemies while completing unique challenges such as herding strange beasts, target shooting, and defeating ravenous dinosaurs. The Dragon Realms are celebrating the 'Year of the Dragon' when a mysterious cloaked figure emerges to steal all the Dragon Eggs. Under the spell of the evil Sorceress, an army of Rhynocs is now guarding the helpless eggs in the Forgotten Realms. With new and old friends, Spyro is on a quest to recover the lost eggs, defeat the Rhynoc army, and stop the evil Sorceress. Turn up the heat in this adventure by exploring the mysterious realms and completing outrageous challenges, such as pulling off sick tricks on a skateboard and stepping into a boxing ring. Nintendo Switch? Where are thow Spyro Trilogy? Now I’ve thought about it, I honestly can’t get it out of my head how cool it would be! With more screenshots coming in, I realize the more cute Spyro is! Doomdrao Treetops really isn't that bad, when you know what you're doing.